Dinner at Three Sisters Restaurant (Han Sam Euy Nong) after watching the sunset by the Mekong Riverside in Vientiane, Laos. 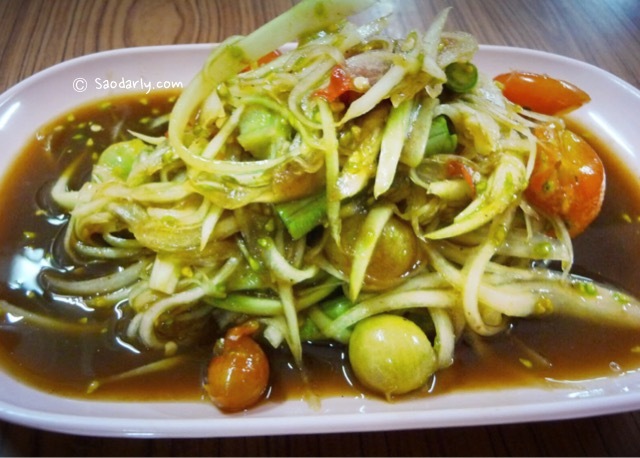 This restaurant is known for delicious papaya salad and many Lao food or other Asian dishes. 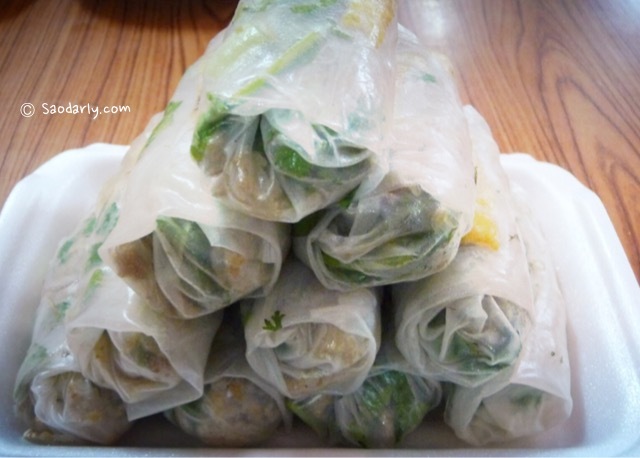 I ordered Lao Green Papaya Salad and Fresh Spring Rolls. 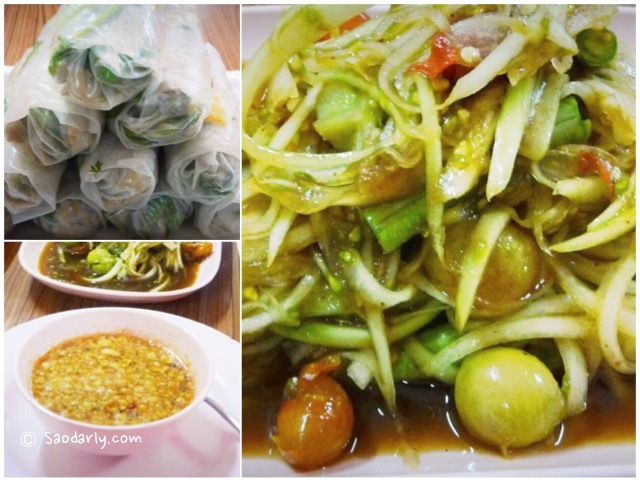 A plate of papaya salad and three spring rolls was more than enough for a meal. 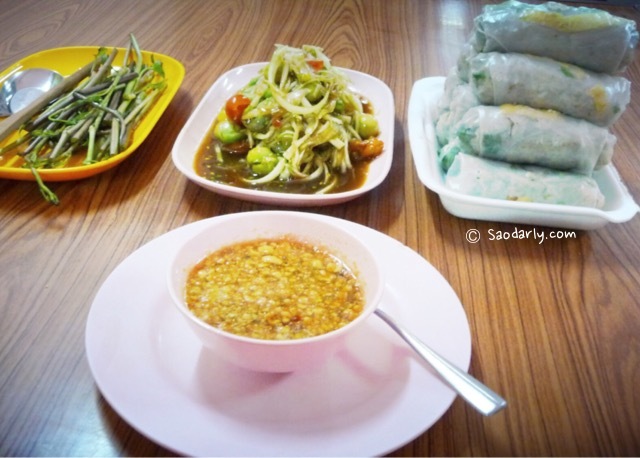 Three Sisters Restaurant is located on the opposite of Vat Chanh Temple, on Chao Anou Road, between Lao Inter City Hotel and Lao Orchid Hotel. 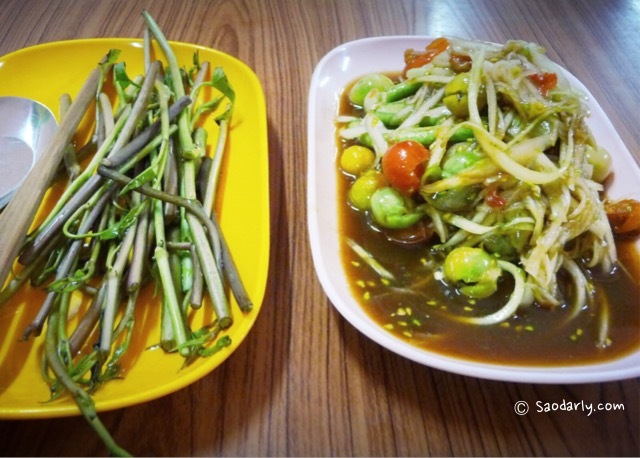 Han Sam Euy Nong restaurant has been in Vientiane for as long as I can remember. My aunts and parents knew about this place many years ago and how it has been part of the city just like Home Sweet Home Ice Cream Shop, which no longer exists at its current location. My aunt said she can still remember when the restaurant was just starting out and the family didn’t have much. By hard work and determination, this restaurant is improving and gaining a very good reputation year by year. I just wanted to say that your website is lovely!